Prosecutors said a 75-year-old Swiss woman was arrested after she turned herself in for the "terrible" attack on Thursday afternoon. The primary school pupil was found alone on a street by a teacher and died of his injuries in hospital. "Passers-by had seen an elderly woman move away from the scene," Detective Inspector Peter Gill told local media. "The boy was badly injured on the pavement when his homeroom [teacher] passed by on a bike," the spokesman said. That teacher called the emergency services, but the boy died at the University Children's Hospital despite doctors performing emergency surgery. 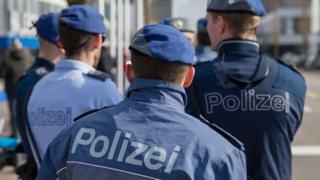 While Basel police launched a search in the area, a woman walked into the public prosecutor's office and told officials she was responsible for attacking a child.